ArticSoft's data security software makes use of digital signature technology in order to provide confidence that content or files have come from the claimed source and has not been altered after it was authorized by its creator. 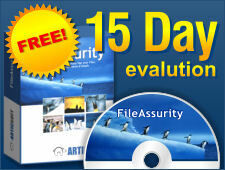 ArticSoft digital signature software is used to generate the signature file component of the protected file/content. The digital signature is always made part of the file/content itself so that it can never become detached or be easily substituted. See also our use of PKI technology for signing and signature forming mechanisms. Our digital signature software integrates with the digital signature software of the Certification Authorities (CAs) using X.509 digital certificate based mechanisms without requiring users to implement complex infrastructure products as the only way to use the technology. You can import certificates from all the major CA providers. Our digital signature software also provide users with the ability to generate their own digital identities where they prefer not to use one of the CAs for that purpose. At present the lack of a cohesive Public Key Infrastructure (PKI) means that there are no true central reference points allowing anyone to connect to everyone. As well as using existing PKI services to manage certificates, our digital signature software use a system known as 'web of trust'that was originally introduced by PGP. The 'web of trust' is based upon dealing with people that you know. This is quite sensible, since it is very unlikely that anyone would send anything that really needed strong protection to someone that they did not know at all. In the course of business people normally introduce themselves to each other (in fact the business of introduction is very important both socially and professionally and as societies we often make this an important formality). Our digital signature software allows for the personal introduction model for ensuring that you are confident of the digital identities and digital signatures that you use. Our digital signature software also supports the PKI structure because in many cases you also work with businesses, and you are willing to accept real business identities as being correct, even if you have never met the people before. As a result, our digital signature software offers a mixture of the best of both worlds in digital signature management systems. Our digital signature software allows for the export of public keys in the form of an X.509 digital certificates so that they can be used in other products when that is necessary. We prevent the export of the private key as this is used to provide digital signature approval for documents and other files (and for file/content decryption).